The mother of Julian Assange, the founder of the whistleblowing website WikiLeaks, has warned that her son is being framed over sexual assault allegations. WikiLeaks was founded by Julian Assange in 2006. The US soldier Bradley Manning is currently awaiting court-martial hearings in the American state of Virginia. This follows his arrest in 2010 on suspicion, and later being charged with, having passed restricted material to the website. Yesterday, Digital Journal reported that Juan Mendez, the UN Special Rapporteur on Torture, had “formally accused the US government of ‘cruel, inhuman and degrading treatment’ towards [Manning]". However, since taking office in 2009, Obama has backtracked on his own words, as the investigative journalist John Pilger pointed out in an article he wrote for the New Statesman last year: “Obama has pursued and prosecuted more whistleblowers than any other president in US history”. Meanwhile, Assange himself is waiting to hear whether the UK Supreme Court has upheld his appeal against the Swedish authority’s request for him to be extradited to Sweden, where he is accused of sexual molestation. Assange and his supporters fear that the extradition request is simply a ploy by the Swedish government to bow to the United States for him to be sent there to be prosecuted on charges relating to the publication of military documents on the WikiLeaks website in 2010. 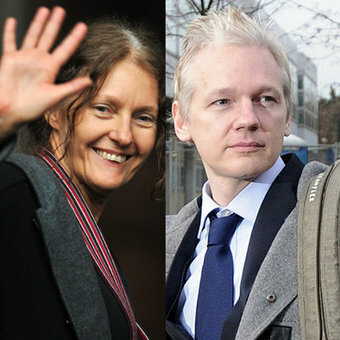 In November 2011, as reported by Digital Journal, WikiLeaks won the Walkley Foundation “Most Outstanding Contribution to Journalism” award. On making the award, the Walkley Trustees said, “WikiLeaks applied new technology to penetrate the inner workings of government to reveal an avalanche of inconvenient truths in a global publishing coup.” The aims of the Walkley Foundation are to “support and encourage professional and ethical journalism and promote and reward excellence in the Australian media”.